Nighttime motion detection requires extreme sensitivity...? I recently upgraded from 1.28.1 to 1.28.107 (from debian to ubuntu as well) and noticed that the same camera with more or less the same parameters has almost no nighttime motion detection in .107 vs what it had in .1. 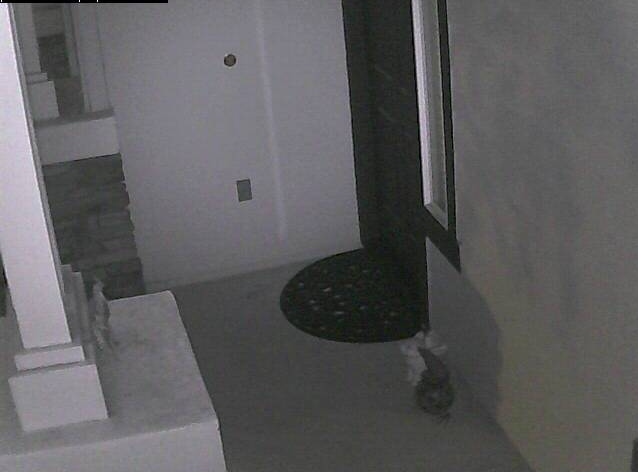 Re: Nighttime motion detection requires extreme sensitivity. Without comparing real quantitative motion detection data between 1.28.1 on Debain and 1.28.107 on Ubuntu, I'm not sure anyone can answer your question with precision. Are you sure you are using the exact same motion detection settings between the two systems? However, I can say that it is quite normal, for any surveillance system, to tweak your motion detection settings for one time of the day, weather conditions, etc only to find that at another time, or weather condition, the system records many false alarms. You either need to experimentally find a compromise that works well enough for most times of the day or use run states to change your motion settings for different times of the day. Am curious...what version of Debian/MySQL did you have and which version of Ubuntu/MySQL did you end up with? I am running Ubuntu 14.04-3 with MySQL 5.6 and ZM 1.28.107 and have noticed some performance increase and load decrease. Research tells me it may be the improvements from 5.5 to 5.6.
bbunge wrote: Am curious...what version of Debian/MySQL did you have and which version of Ubuntu/MySQL did you end up with? Hm - I was on Debian 7 with 5.5 and right now I am on ubuntu 14.04 with mysql 5.5.44... is there an official 5.6 release? Also - I wish I could have the data from the debian install I had - however unfortunately this upgrade to 14.04 was a forced one since my RAID controller decided to crap out and kill all my arrays in my VM server. Talk about a bummer... but I got it recovered more or less.